An unparalleled collection of fashion and beauty names in one place, 24 Sèvres offers pieces from renowned designers and coveted emerging brands alike. To show off their collection of shoes, bags, accessories, ready-to-wear and beauty, 24 Sèvres offers the customer an innovative visual experience along the road of discovering new products and trends. Browse the 24 Sèvres range via the 'Shop Now' button to earn Cashback on all of your clothing and accessory purchases. 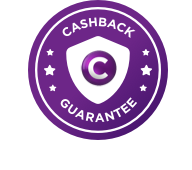 Cashback may not be payable if you use a coupon code that is not listed on this site. Enjoy free returns on all your purchases.